Capt. Fred D. Richardson Jr., 85, passed away peacefully on Tuesday, November 27, 2018. He was born in Weidner, Arkansas and raised in Battle Creek, Michigan where he received his formal education. After graduating from Battle Creek Central High School, he attended Western Michigan College in Kalamazoo, Michigan earning his Bachelor of Science Degree. He later earned a Master’s Degree in Business from University of Southern California. Fred married his college sweetheart, Donna L. Jeffries on December 23, 1955. Their union was blessed with four children. American to command a naval fighter squadron; 13 months exchange duty with US Air Force where he served as a Reconnaissance Flight Instructor; serving as Executive Officer aboard the aircraft carrier USS Coral Sea. ; and as commanding officer of Naval ROTC Unit at Prairie View A&M University and Comptroller, USNAVEUR in London, England. Fred received numerous decorations and medals for his service. Fred was a faithful servant of God. He played the piano in his home church, Strangers Home COGIC in Battle Creek, MI. 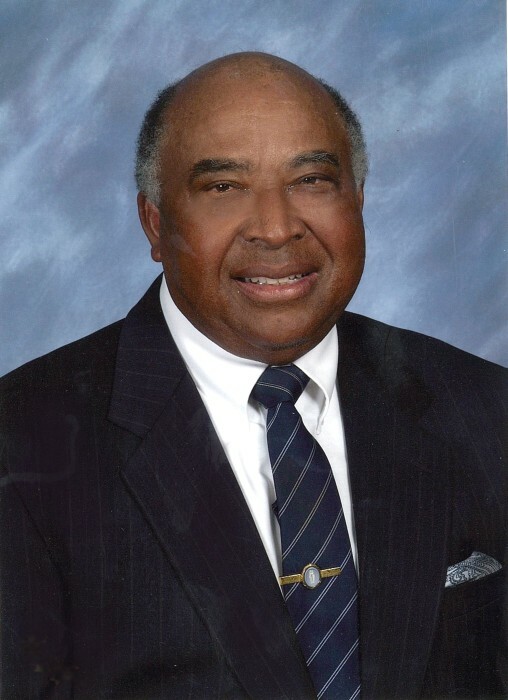 His bass choir voice was heard wherever he was located throughout his life, singing praises to God He was a Sunday School teacher and deacon in his local church, Bethel Baptist Church, San Diego, CA. Fred was a wonderful husband, father, grandfather, great grandfather, brother, uncle and friend. His family was very important to him. He enjoyed challenging family members in a game of chess or golf. Fred was preceded in death by his parents, Elder Fred D. Richardson Sr. and Loise Richardson; brothers Royce Richardson, Noah Richardson, and Michael Richardson. Sisters Iva Mae Hadley, Loise Richardson and Idella Neal. Fred passed away on November 27, 2018. He leaves behind to cherish his memory, his beloved wife of 62 years, Donna Richardson, his sons, Fred Richardson III (Bernadean), Mark Richardson (Martha), James Richardson, daughter Sonya Richardson; eight grandchildren, Fred Richardson IV, Alexandria Richardson, Jared Richardson, Arthur Richardson, James Richardson Jr. Aaron Richardson, Jordyn Richardson, Jaclyn Richardson; one great grandchild, Fred Richardson V; one brother, Wendell Richardson (Charlene), two sisters, Essie Harper (Frank), and Joyce Sparks (Alonzo), and a host of nephews nieces and many friends.